The FB-236-TRI is the FB-236 without a base. 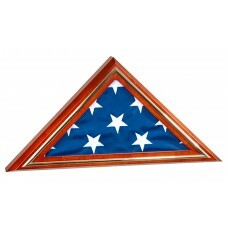 • Depth between the glass and masonite is 2-3/8"
Houses a retirement (3' x 5') flag. Houses a memorial (5' x 9 1/2') flag.